Sweet peppers are one of those vegetable garden essentials that should only be consumed when picked fresh from the garden. By the time a sweet pepper has reached the grocery store produce section it has lost some of its sweetness and most of its nutritional value. 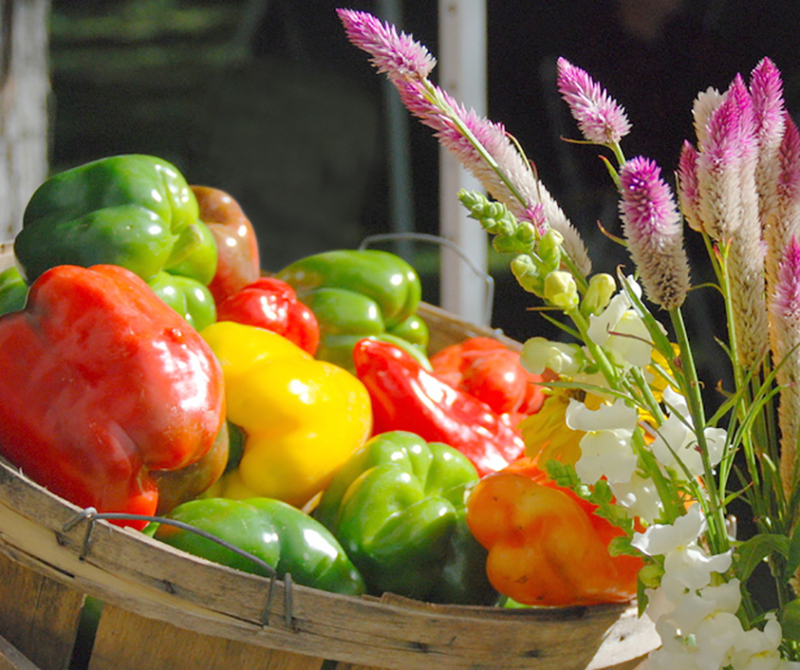 Sweet peppers, fresh from the garden, are some of the most nutritious foods you can eat. They contain high levels of Vitamins A, C, E, and B6, potassium and magnesium. Along with bananas, they are the recommended source for individuals requiring high levels of potassium in their diets, but unlike bananas they do not contain as much sugar. Sweet and hot peppers are indigenous to Central and South America. 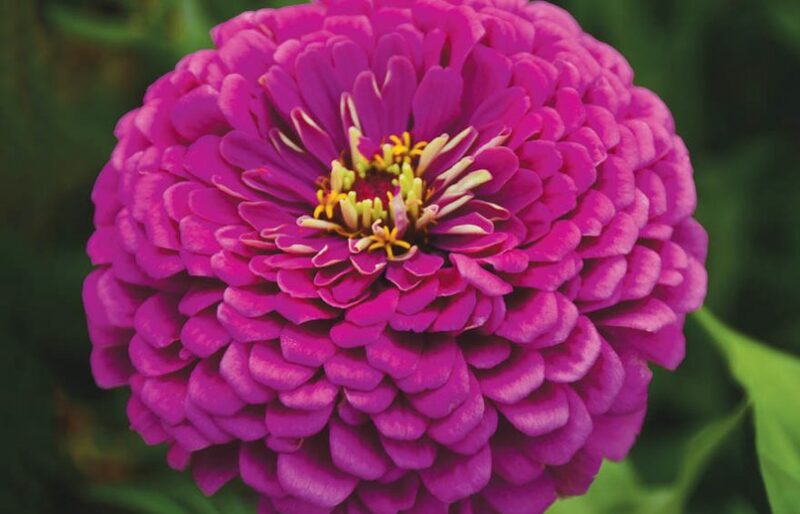 They have been cultivated since prehistoric times. Columbus named the peppers he saw growing in the West Indies, pimiento, because he thought they were the pimienta, a spice pepper grown in the East Indies. He was painfully surprised to find out that the West Indian peppers were incredibly hot. On his several voyages to the New World, Columbus collected many varieties of hot and sweet pepper and brought them back to Spain. The peppers immediately gained popularity and spread to Africa, India and the Far East before they became popular in the rest of Europe and North America. In Central and South America, peppers are perennial plants, which can grow four to six feet in height, but in North America, peppers are grown as annuals because they are very sensitive to frost. Pepper plants should be started indoors 6-8 weeks before the last frost date. Because peppers germinate slowly, pepper plants should be started with bottom heat applied to the flats. The bottom heat speeds up germination and seems to produce stronger seedlings. 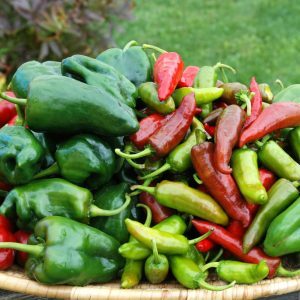 When it is time to plant your peppers outside, harden off the plants for one week by placing them outside during the day and leaving them outside if the nighttime temperatures do not fall below 50 degrees. 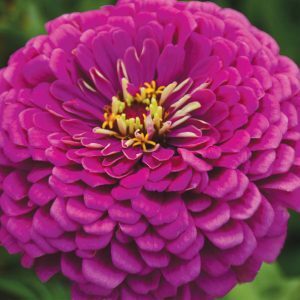 After one week of hardening off, plants should be transplanted to the garden or a container after all danger of frost has passed. Pepper plants are excellent container plants. 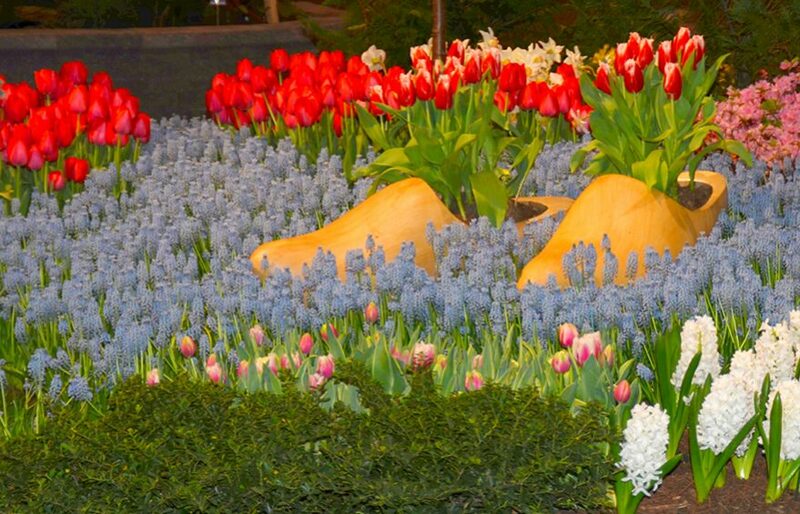 Transplants in the garden should be planted 12-18 inches apart in rows 2-3 feet apart. Mix bone meal and compost or dried manure in the planting hole. 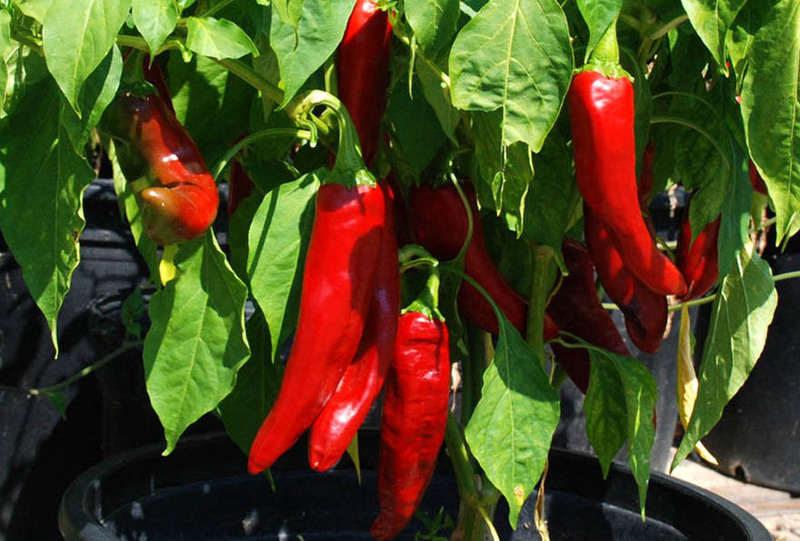 If the soil is too rich or too much nitrogen fertilizer has been added to the soil, the plant will produce lush green leaves, but few peppers. As plants begin to blossom, dissolve a spoonful of Epsom salts in a spray bottle full of water and spray the leaves. The magnesium in the Epsom salts encourages early and prolific fruit set. Peppers should be harvested when they change color from green to red, yellow, orange, purple or brown. Once the color change occurs, sweet peppers become sweeter and hot peppers become hotter. The more you pick peppers, the more they will produce. When most people see this pepper for the first time they believe it to be a hot pepper, but it is really one of the sweetest sweet peppers you will ever eat. This is a Bulgarian heirloom which is used for roasting and canning in its native country. The pepper is conically shaped coming to a distinctive point at its end. It is a stunning scarlet red. The plants, for a sweet pepper, are remarkably prolific, producing at least 10 peppers per plant and often more than twenty, if regularly harvested. Chervena Chujski grows very well in a container and is as showy as any flowering plant you will ever grow. The scarlet of these peppers against the bright green of the plant’s leaves is a sight to behold. If you decide to grow this pepper, you need to roast some of them when you harvest. Roasting turns this already sweet pepper into pure candy. 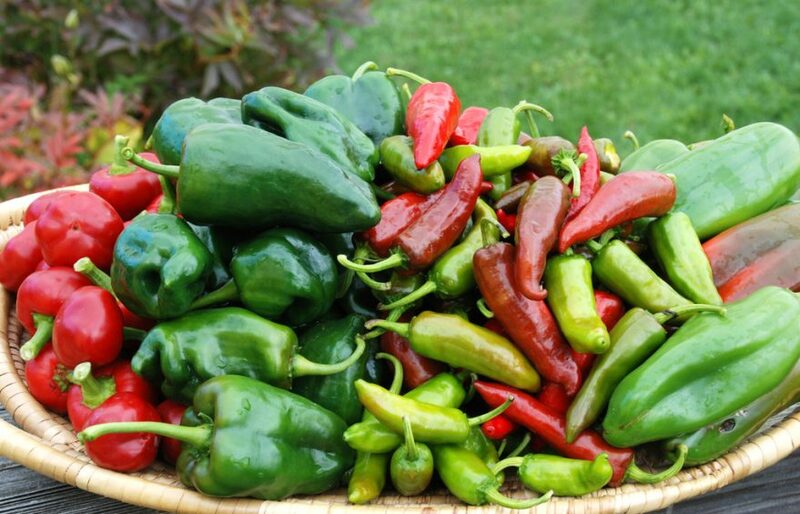 One of our customers, who spent a number of years with USAID in and around Bulgaria, buys an entire flat (32 plants) of these peppers from us every year and roasts and cans almost all of the peppers he harvests. That is how good these peppers are! We have all heard of pimientos, and we recognize them as the little red things stuffed into the middle of green olives, but most of us have never seen the fresh fruit and many of us do not know that a pimiento is a sweet pepper. Pimientos are an ancient pepper, possibly one of the oldest sweet peppers. 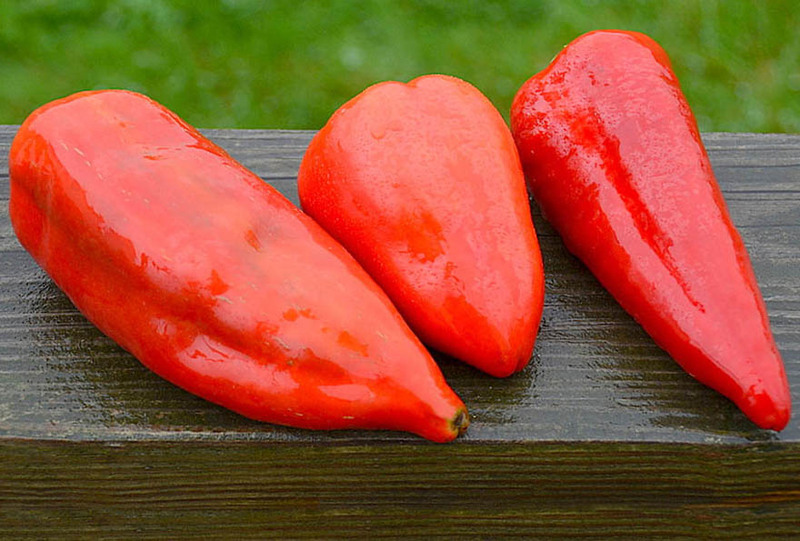 The pepper is heart shaped with vivid red skin when mature and thick sweet flesh. In general, this pepper is considered to be sweeter than bell peppers even the red ones. The name, pimiento, means bell pepper in Portuguese. When Columbus first encountered hot peppers in the Caribbean on his initial trip to the New World, he called peppers, Pimientos, because he mistakenly thought they were the peppery spice of the Orient. Eventually the name became associated with the heart-shaped sweet pepper. I prefer pimientos to bell peppers. The plants are far more productive and the fruit has better flavor. 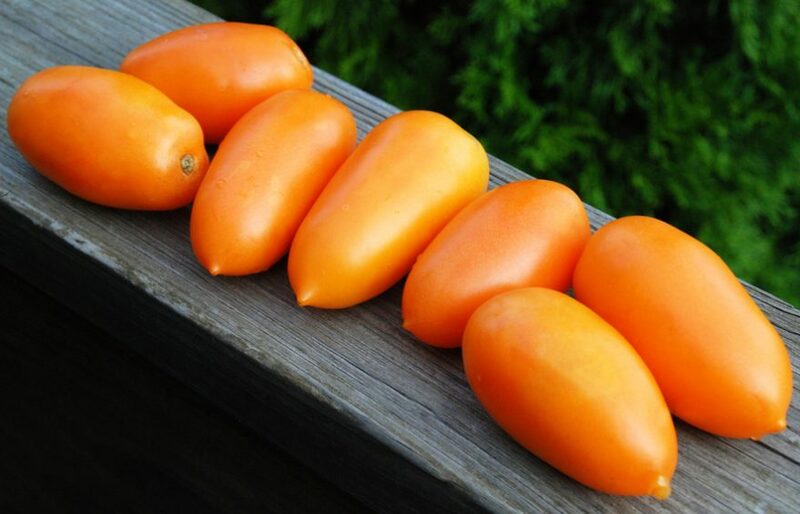 The photo, above, shows the great variation in shape and size that pimientos can have. The center fruit is the classic shape and size, but on a single plant fruits can vary dramatically as can be seen in the photo. For those of you who like to try one thing new in the garden each year, the Pimiento should be on your list. Having grown them once, you may never grow another bell pepper again. The photo above is a demonstration. It shows the bottom of a 4-lobe bell pepper, a 3-lobe bell pepper and a bullnose pepper. The name, ‘bullnose’, refers to the bottom of the pepper which can resemble a bull’s nose. All 3 of these peppers came from the same lot of seed. At one time there was a distinctive variety of sweet pepper known as the Bullnose Pepper. It was a spontaneous mutation from 3 and 4 lobed bell peppers which occurred in India in the mid-1700s. It may have been a more ancient variety, but that is not known for sure. The Indian bullnose pepper was introduced into the United States in 1759. The Indian fruits were early maturing and had a very different taste than traditional bell peppers. The ribs had some heat, but the thick flesh wasvery sweet. The fruit was small – not more than 4 inches in diameter. Today, bell and/or bullnose peppers are California Wonder or Yolo Wonderby name. In a given lot of seed, you will find 3-lobed, 4-lobed and bullnosefruit. 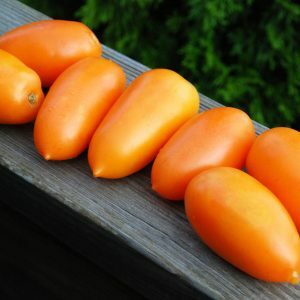 In India, there may still be original bullnose peppers, but in the United States, this variety cannot be obtained as a distinctive, consistent, bullnose-bottomed pepper. As many of you know, I think tomatoes and peppers and eggplants grow best in containers. If you are going to grow peppers in containers, there are a few rules you should follow. Peppers should be grown in pots that are at least 14 inches in diameter and 10-12 inches deep: ONE PLANT PER CONTAINER. 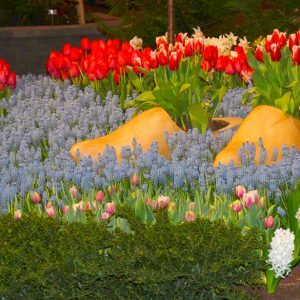 The absolutel best soil mix for containers is 60% crummy backyard soil, 20% peat moss and 20% dehydrated cow manure or, even better, compost. If you blatantly refuse to use backyard soil then purchase topsoil (not potting soil, special soil mixes, premium soil). Mix the ingredients together and pour into a pot. Most peppers require staking, so plant the stake when you plant the seedling. Container grown peppers must be fertilized at least every 2 weeks with full strength fertilizer that is rich in phosphorus. Tomato plant food does a good job. Plants that are not fed in this way will have limited fruiting. 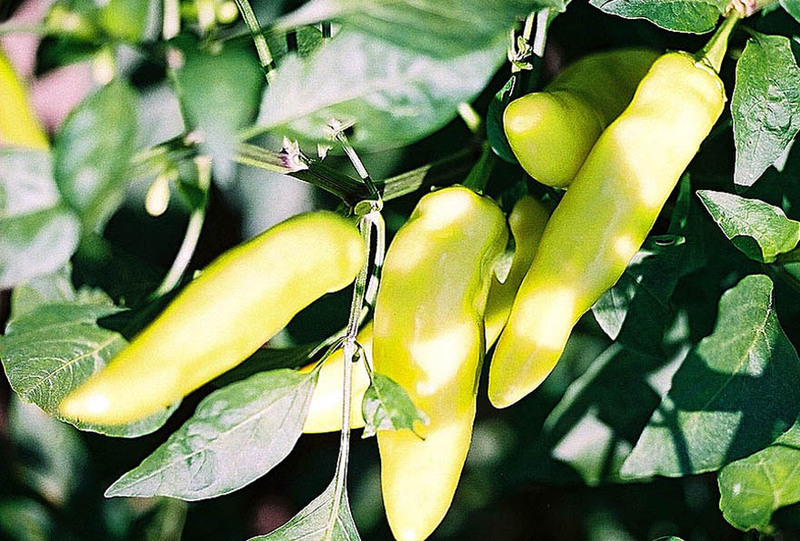 The Hungarian Sweet Wax Pepper AKA the Banana Pepper was introduced into the United States in 1941 which is surprising because many of us believe it has been a part of American agriculture for centuries, but it has not. This pepper also has a hot cousin known as the Hungarian Hot Wax Pepper. The cousin looks identical to its sweet relative. Hungarian Sweet Wax is one of the most popular peppers grown today and it deserves its popularity. The fruit is very sweet and flavorful. The plant produces early and produces an abundance of fruit. The fruit starts out pale green turning to yellow and eventually to orange and sometimes red. If you can only grow one pepper in a container, we recommend Hungarian Sweet Wax because it produces early and abundantly. It is the best pepper when space is at a premium. Peppers are not the best vegetable to start with when teaching children to garden, because they take a long time to produce and, for children, they are not very interesting. We consider ourselves to be a “family-oriented” seedhouse, and some of the truly exotic hot peppers are actually dangerous to have around children. If, after touching one of these peppers, a child rubs his/her face or eyes, they can sustain a pretty bad burn. We do offer some habaneros and Thai peppers that can burn, but we try to caution parents to be careful when growing these peppers around children. Most American vegetable gardeners consider sweet peppers an essential part of their seasonal vegetable garden. Peppers, fresh from the garden, like tomatoes have flavor and texture that cannot be duplicated in a grocery store pepper. Few vegetables are as nutritious, and few vegetables enjoy being home bound in a container more than peppers. 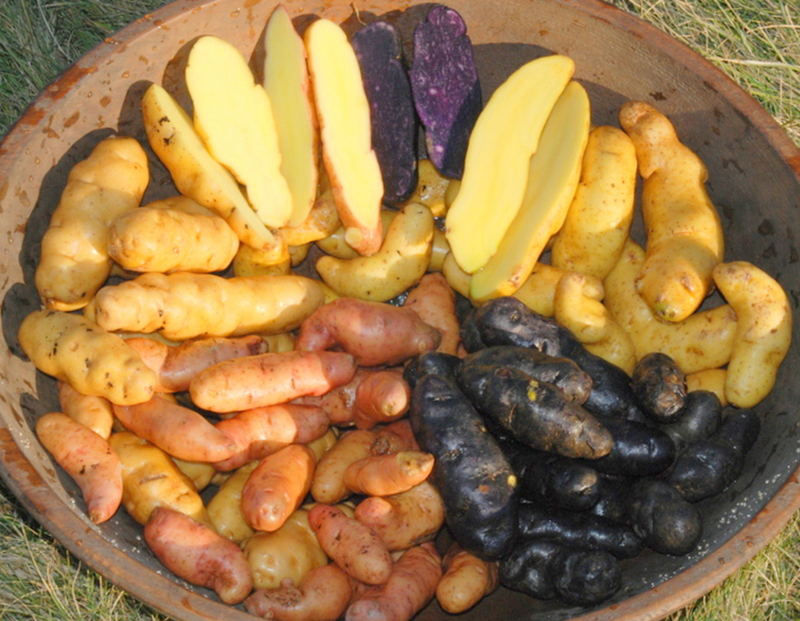 Fingerling Potatoes and our potatoes video now available on YouTube!